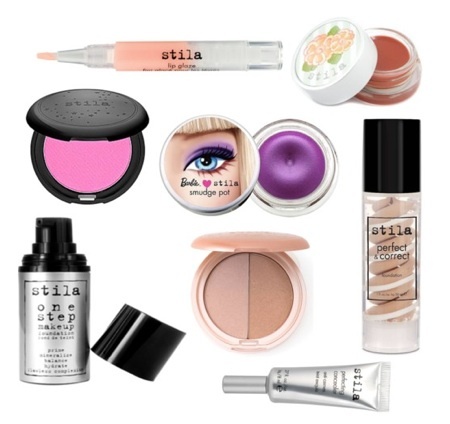 Stila Eyeshadow, one of the staple products of Stila Cosmetics, is available in a wealth of different colors. Their most popular shade, "kitten," is a rosy pink. Stila eyeshadows blend well; they are very creamy and smooth. They also come in so many colors, you're bound to find some that fit your skin tone. Their eyeshadow containers are also refillable, although they do not have a recycling program. However, Stila's eyeshadows don't work with everyone's skin. I can find no reports of allergic or bad reactions, such as dry skin or milia, resulting from Stila eyeshadow use. However, I've found several reports that the eyeshadows crease too easily. Some say it is underpigmented, others not pigmented enough. Tthe brand offers many lovely colors, and they apply smoothly. But most of their shadows are also shimmery, and its the consistency of Stila's shimmer that gives me problems...when I want to touch up some spots for greater color intensity, I only get more intense shimmer. This consistency would work fine on very young eyes, but for the rest of us, there's higher-quality, and more flattering, matte and shimmer [eyeshadows]. Stila eyeshadows cost $18 each. Return to Enjoy Your Style's makeup section. Return to Enjoy Your Style's makeup brands section.